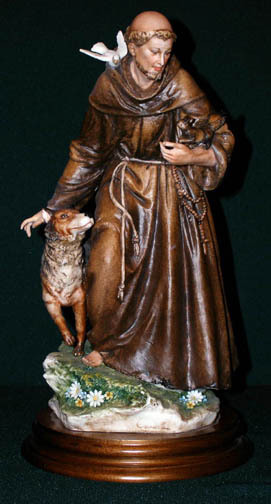 St. Francis by Luciano Cazzola in fully hand painted porcelain from the Vicenza region of northern Italy, 12". Capodimonte porcelain at its finest! Made in Italy.